Offering you a complete choice of products which include friction washer machine. We have marked a distinct position in the market by providing excellent quality Friction Washer Machine. 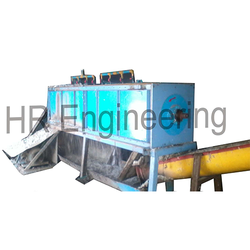 This machine is used for cleaning PET flakes as well as plastic films. The offered machine is engineered with precision using supreme class components and highly developed technology in compliance with set industry norms. This machine is available in different technical specifications as per the specific needs of clients.